Embrace the mess and don’t stress! We’ve come up with an easy home solution for cleaning and polishing your stainless steel range and ventilation hood, without breaking the bank or using harmful chemicals, for a flawless finish every time! Just like wood, steel also has a surface grain. Cleaning in the same direction will always ensure a shiny surface and while cleaning against the grain will not ruin your appliances, it can cause residue to seep deeper into the surface texture. Start by applying a small amount of dish soap to one of the cloths and rinse with a small amount of water, making the cloth damp. If you don’t have mild dish soap on hand, dampen your cloth with some white vinegar. Next, take your cloth and wipe along the grain line, repeating over areas with more stubborn stains. Finish by wiping away any water marks and residue with a clean, dry cloth. Take your remaining dry cloth and pour a small amount of mineral or baby oil onto the surface. Similar to cleaning, take the cloth and rub onto the steel surface following the grain. 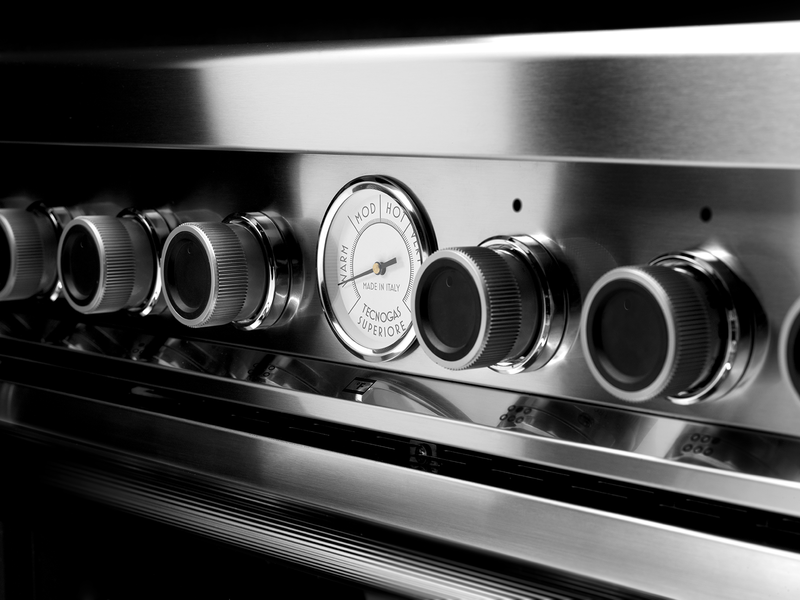 Once your range and ventilation hood have been cleaned and polished, you will have perfectly restored stainless steel surfaces to enjoy! Please visit our product list to view all of our premium ranges and hoods, styled with unparalleled performance and quality in mind.